There is a tendency, especially in the modern martial arts, for one to aspire to be the top performer in their preferred practice, be it karate, jūdō, wrestling, MMA, etc. This however tends to drive one towards sheer training, pure unbridled physical drilling. It is however, quite obvious, to me at least, that the fabled masters of a bygone era didn’t acquire their mystical level of performance by pure practice. Illustration hinting at the Gokui of Kukishinden-ryu’s Jojutsu technique, “Tsuki iri”. In the classical martial arts (as opposed to tradition; archived into traditional ritual), there was not the concept of black belts, ascension to “grand masters”, etc., instead the layout of the pedagogy in koryū (classical currents) often begins at an initial transmission (shoden), then delves into a middle transmission (chuden), and finally the deepest transmission (okuden). One aspect of this is that just like the contemporary practice of combative sports today, one could proceed in their whole career in the gym and in the ring (or octagon for the more pedantic out there). The classical master certainly could have done this as well, but why, instead, did they chose to instead head into isolation in the mountains, forests, and ravines? These masters were driven to something different, something deeper, almost religious in their practice. In every case, this was how the quintessence (Gokui) of their school (ryūha) was developed, polished, and to a certain extant, codified. One of the reasons that just sheer training in repetition and conditioning the body and techniques in a gym doesn’t usually bring about the birth of such insights as these gokui is that the gokui is not simply about the most effective technique, or best strategy against different fighters. Instead, much of it is a matter of how one organizes and computes dynamic information in action. Drilling, sparring, and dueling in a ring, gym, or dōjō can be good for best case scenarios, but training in the dōjō will never make you an effective fighter in a forest. Whereas the gokui needs to be applicable anywhere, at any time, against any opponent. Context aside, the gokui is located deep in a practice, in the mind and heart (kokoro) of the practitioner. It is very much a mater of neuro-plasticity; the mind is shaped by profound experiences. When one’s practice becomes profound, their techniques, strategies, and understanding of a situation becomes a mater of feeling, which is far faster and more efficient for impromptu critical decision making than human cognitive processing. This is a reason why many modern martial arts speak out against “technique dependent” arts and praise “dynamic” or “principle based” martial arts. The paradox is to go deeper in a practice in order to ascend higher. In the upper tiers of many classical Japanese composite martial arts (sogobujutsu; 綜合武術) there exists the practice of arresting a prisoner with a length of rope for the purpose of presenting to authorities or interrogation. The skill itself is called hayanawajutsu, and is considered quite a difficult technique to master and thus, few learn it and fewer still teach it. Though not clearly revealed or explicitly coupled, a hypothesis has been formulated that connects the elusive hayanawa techniques of Kukishin-ryū with the more readily available techniques of Shōshin-ryū and Musō-ryū. For the rest of the paper, visit my ResearchGate page here. You can also get pre-conditioned hemp arresting rope and the manual on the discussed arresting techniques. Of the countless classical martial arts found in feudal Japan, there is a particular collection of traditions and lineages that carry within them a certain body of knowledge recognized for their unconventional utilization of the human body. These particular currents(1) of practice and thought (koryūha; 古流派) are either found within the regions of Iga and Kōga, or at some point in their lineage have passed through this region and were influenced by the sciences found there. One of the many bio-mechanical principles that contribute to the uniqueness of the martial arts of this geographic area is a detail called “Hichō” (leaping bird; 飛鳥),(2) which refers to the practice of maintaining one’s weight distribution over a single leg. Though there are many pros and cons to this practice, some of the effects include the ability to deliver kicking techniques without telegraphing the action to the enemy, the capacity to position one of the legs in any position without having any influence over any other component of the body, and the ability to suddenly displace one’s weight without any hesitation regardless of the encumbrance of ones armor or field gear. Though the current practices of martial arts body culture has been profoundly influenced by what is often referred to as “sports movement”, that is to say a reliance on muscular strength and explosive speed in one’s effort to execute a technique, the classical theories of body culture was very different. (3) Instead, observing the advantages of subtly in movement (sabaki; 捌), positioning (kamae; 構), and situational awareness (ma-ai; 間合い) to allow the classical warrior to observe the maximum amount of intelligence about the enemy, while providing the minimum to him. One of the greatest advantages in utilizing the principle of Hichō, is that one is able to instantly deliver a kick, from any angle, in a single movement, as opposed to the common practice of relying on speed and tension to shift one’s body weight to a supporting leg in order to lift the leg without disrupting one’s balance negatively. This common method creates a proprietary movement before being able to lift the leg off the ground to be implemented, in turn both delaying the technique, as well as telegraphing the nature of the technique to the enemy and effectively negating the element of surprise. The combative techniques of the province of Iga and Kōga all took advantage of the ability to deploy any technique or weapon without relaying such an intention to the enemy. A Tengu (ascetic demon; 天狗) demonstrating a form of Hicho-gamae. Another major advantage of this principle is the capacity to stand perfectly profile to the opponent, hiding the rear half of the body, while allowing the lead leg to protrude as an appealing target for common stratagems such as leg sweeps, and low-striking attacks with weapons (Figure 1). The ploy is of course, the fact that there is no weight on the lead leg, allowing the recipient of the initial attack to retract (Figure 2), reposition and/or counter attack without having to shift one’s weight. If the response of repositioning the lead leg is timed correctly the opponent would be taken by surprise and unable to defend for a well-placed and timed counterattack. A much undervalued yet exceedingly valuable quality of this sort of positioning is that it was devised and implemented with the use of armor in mind. Firstly, the leg positioning allowed for movement without the haidate(4) (thigh guards; 佩楯) to shift, exposing the thighs to attack, as well as delivering kicking techniques, as described above, again without exposing openings in the armor. (5) Furthermore, one is than able to drop the weight from one leg to the other suddenly, without telegraphing or delaying the movement with proprietary movement, effectively breaking the inertia of a fixed position and yet not generating uncontrolled momentum often resulting in unbalancing oneself. This type of movement allows the classical warrior to discreetly shift from a neutral position (shizen gamae; 自然構) to the defensive position commonly regarded as Ichimonji gamae (positioning on a straight line; 一文字構) all the while taking an effective defensive position as well as being able to deploy any form of weapon or technique from said position. The above three effects are only a few of the resulting qualities and details developed from the biomechanical theory of Hichō, and this principle of Hichō is only a small yet significant aspect of a much larger holistic system of thought and movement found in the classical martial arts of Japan, and most particularly in those systems found to have been influenced by the inhabitants of the province of Iga and Kōga. From something as simple as a special distribution of weight in the body one is able to deploy the supposed slowest form of attack and technique in the martial arts without the enemy perceiving nor understanding the nature of the attack, laying out a stratagem to lure in the enemy for a counter attack, as well as building an effective platform for which to suddenly and without warning, displace one’s own weight for disguised methods of evading and defending from attack. 4 Haidate (佩楯) Thigh guards which tied around the waist and covered the thighs. These were made from cloth with small iron and or leather plates of various size and shape, usually connected to each other by chain armour (kusari; 鎖) and sewn to the cloth. Hatsumi, Masaaki. Budō Taijutsu 武道体術. Ed. Matt Cotterill. Trans. Doug Wilson, Craig Olson and Bruce Appleby. Tokyo: Kodansha International, 2008. Zoughari, Kacem. New interview with Dr. Kacem Zoughari on koryû, ninjutsu and practice Martial Arts Magazine. 6 February 2012. —. Stockholm 2010 Gyokko Ryu & Toujutsu. By Kacem Zoughari. Perf. Kacem Zoughari. Stockholm. 2010. —. “THE HISTORY OF MOVEMENT IN THE JAPANESE MARTIAL ARTS: Structure, Way of Thought, and Transmission.” Seishin Ninpō Dōjō (2011). Japanese systems generally place less emphasis on punches and kicks than the adjacent systems in China, Korea and Okinawa (there are exceptions such as Shuai Jiao, Qinna etc.). The Japanese jujutsu systems emphasizes throws, control grips, joint breaks and fractures and attacks, what we in summary call crude wrestling. Atemi (striking techniques; 当身) are of secondary importance in most Japanese systems, while Chinese Chuan Fa (jap: Kempo) have punches and kicks as their primary method of action. It is thought that the Japanese systems koppojutsu (Science of Bone Methods; 骨法術), kosshijutsu (Science of the bones of the hand; 骨指術), dakentaijutsu (Science of striking with the fists; 打拳術), hakuda (Rhythmic strikes; 拍打), kempo (Principles of the fist; 拳法) Shubaku (Seizing with the hands; 手搏) and others are influenced by various Shaolin and Wudang systems in their use of close combat and hand striking, while systems with roots in Japanese Chikara Karabe and Sumai (roots stretching to the Chinese mainland and the Chou dynasty Jiao Ji) is little affected by such techniques, but uses them when necessary. There are three basic reasons why the Japanese systems were developed in this direction. 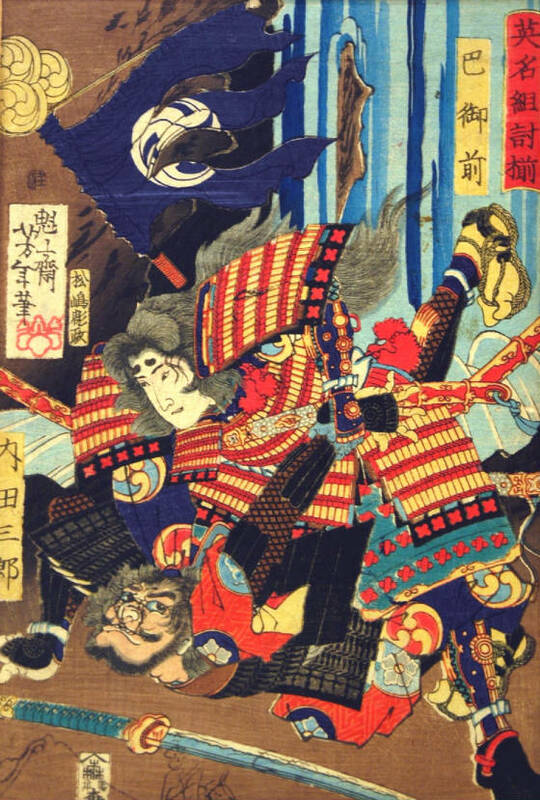 During the Sengoku Jidai (1467 – 1568) it had been necessary to fight in armor on the battlefield, an environment where punches and kicks were used only for approaching the opponent and raw wrestling techniques were used in order to subdue him unto unconsciousness and then be able decapitate him. This reason is valid even today for people who are physically smaller and/or weaker than their opponents. A lightweight can not expect to be able to knock out a heavyweight. International statistics on Lethal Head Injuries (LHI) shows that unarmed brawling is the cause of 85% of deaths in fighting. LHI occurs at 80% of these situations when the victim falls and hits his head against something hard, such as curbs, etc. Another reason was that even if the opponent is not encumbered in body armor, it was hard to beat him unconscious with hands and feet because he was probably battle experienced and could evade. If one fails his surprise attack, the opponent will have time to deploy their weapons. While this reason has validity in today’s acute emergencies. Everyone, regardless of experience in street fights, thanks to the media a heightened awareness of how an attack can be carried out and therefore most have built readiness to react (flinch reflex) away incoming punches and kicks. The most common and dangerous form of knife attack is a blow in the hand, a blow that comes surprisingly from below while the attacker is approaching the victim with the knife concealed. This happens probably just because of a heightened awareness also of the aggressor to the victim may be able to protect themselves and fight back. The criticism that can be leveled against many of today’s self-defense systems is that they do not have methods for dealing with this type of attack, despite it being so common. 3. The main reason was probably correct, is that the raw wrestling was the most effective way to prevent the opponent to use his weapon on the battlefield. If he had a sword, it was important to prevent him from drawing it. On the other hand, if one was armed with a sword, it was important to be able to free themselves from the opponent so you could use it. In today’s emergencies, it must be assumed that the attacker is armed, even if the weapon is not worn visibly. Moreover, one must assume that he has friends in the neighborhood who can jump in as reinforcements if the battle is prolonged. For these three reasons, one can conclude that what was useful 500 years ago are highly topical today. In martial arts, the victor is the strongest, fastest and and one with initiative, because the rules throttle and control the options. On the battlefield one could intensify the situation with weapons and tools to improve their situation against faster opponents with tactical game and strengthen their weaknesses with armor and helmet. This resulted in the development of systems that emphasized maneuver and decisive battle with the raw wrestling. Our Taijutsu is the engine that drives the techniques and tactics of raw wrestling. The Japanese names we use for our form of raw wrestling is Kumiuchi (Close grappling; 組討), Torite (Seizing with the hands; 捕手) and Jutaijutsu (Science of the flexible and subtle body; 柔體術) and derives first and foremost from Gyokko-ryu, and to some extent from Koto-ryu.